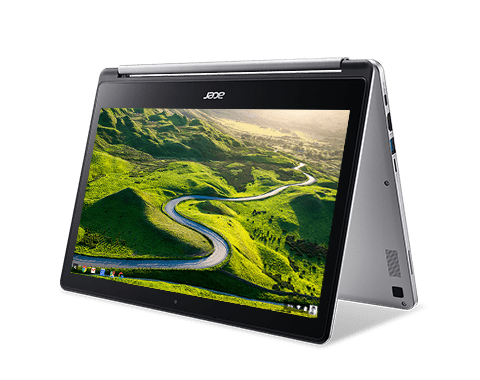 The Acer Chromebook R13 has quickly become one of the most popular Chrome OS devices of the season. We are seeing more and more retailers offering the 32GB model up for sale and pre-order. The 64GB model, on the other hand, continues to elude consumers and is still listed as “coming soon” or pre-order on the few sites where it can be found. With an expected availability date of November 28th, the wait for the 64GB model of this sleek convertible is almost over. 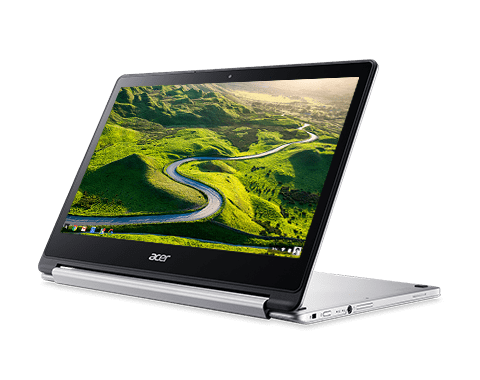 Just in case B&H finds themselves behind in receiving the Acer R13, we’ve found a couple new options for purchasing the Chromebook R13 and wanted to share. The first site, Newegg, was spotted by the eagle-eyed, Brent Sullivan who is always on the lookout for the hottest deals on Chrome OS devices. You can find the listing here and add it to your watchlist. Like B&H, Newegg is selling the 64GB Acer for $429. They do, however, charge $2.99 for shipping. But seriously, if they have it first, we all know you’re going to buy it. The first site to have it available is going to be slammed for sure. I stumbled across the next listing while I was searching for another elusive device that we will just refer to as the “unicorn.” (Samsung, seriously, come on already). Adorama has recently listed the Acer Chromebook R13 as a “new arrival.” I noticed two very interesting points about this listing. The Acer R13 is listed just like any other available device. I have seen other Chromebooks on Adorama listed as “temporarily out of stock” or “coming soon.” This product, however, is listed as if it is in stock. I have reached out to Adorama to confirm if this is the case and will update as soon as we receive word. Honestly, this caught my eye quicker than the availability. Yes sir, $30 less than anyone else has it listed. Adorama offers multiple shipping options. The cheapest of which will run you right under $10 and get you your order in 4-6 business day. For some, it’s worth saving the extra $20 and I tip may hat to you. For others, like us, we HATE waiting and will gladly eat a few cups of coffee to get new toys, fast. Either way, we now have a few options. I am very anxious to see if Adorama does, indeed, have the Acer R13 in stock. They, along with a handful of other sites, have had more than one instance of jumping the gun on product listings. Hopefully this isn’t the case and we will hear of Acer Chromebook R13 64GB sightings in the wild. If you do get your hands on one we’d love to hear about it. Drop us a line. Maybe send us some Chromebook selfies or just comment below.